It has been an amazing start to 2016, and our team have been working around the clock without a break to push forward re-building efforts in the Helambu region. We’re proud to announce that January saw the first foundation stones being laid at numerous sites across the valley as our reconstruction project builds momentum. 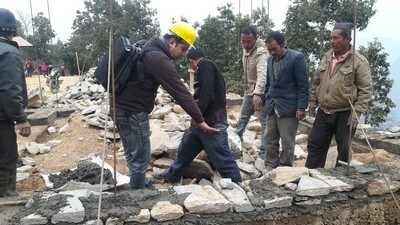 Our team, including a trained local architect who is working on the design and building work, visited a number of schools, including Pading, Birhkarka and Nakote, sending back some great photos of rebuilding work in progress! 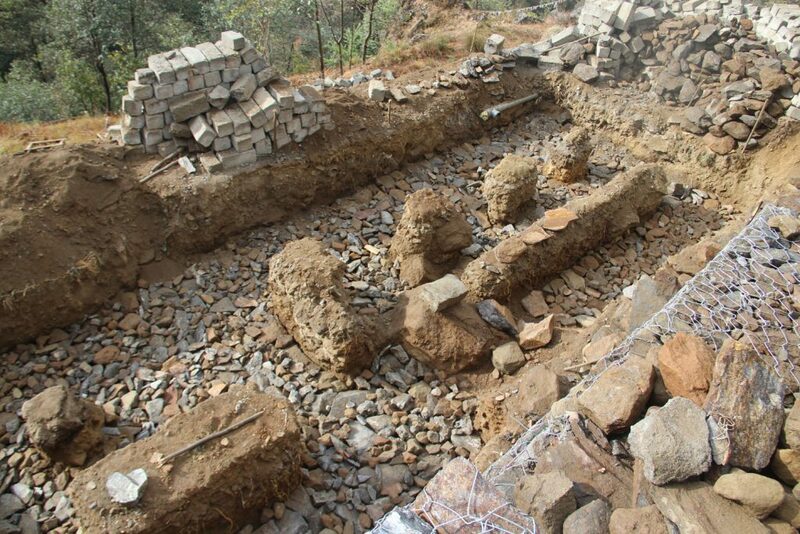 Part of this work has included the strengthening of retaining walls to prevent landslips, and then starting the groundwork for the classroom buildings. We’ve also been improving our temporary learning centres to ensure they are kept in good repair until permanent classrooms can be built. We’ll be laying the groundwork for even more classrooms in the coming month! In-keeping with our usual practice, we have been liaising with community leaders, villagers and teachers throughout the process to allow us to better respond to the needs of the community. It has proved to be a winning formula throughout our time in the region, and we are keen to ensure that this practice continues. 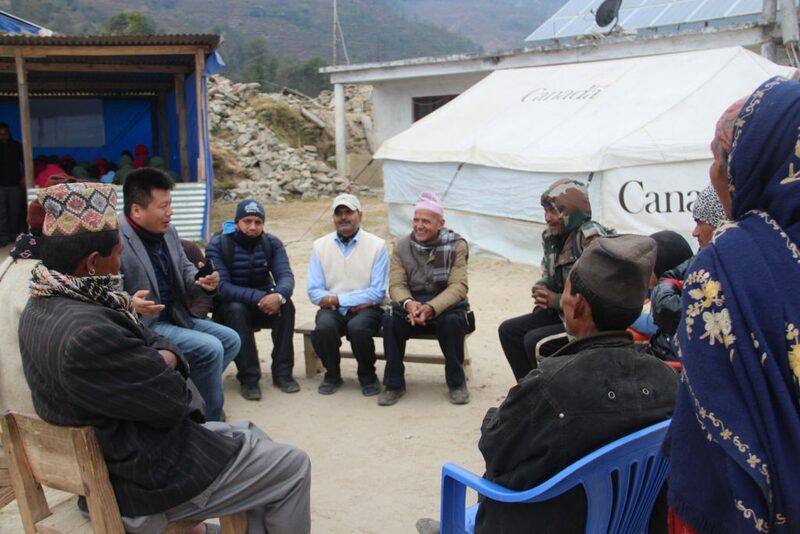 In the photo below, you can see our country manager, Jimmy Lama, consulting with local leaders at Pading village. We are also very happy to report that our team on the ground has distributed fleeces, hats and other warm clothing to almost 2000 children in the valley. 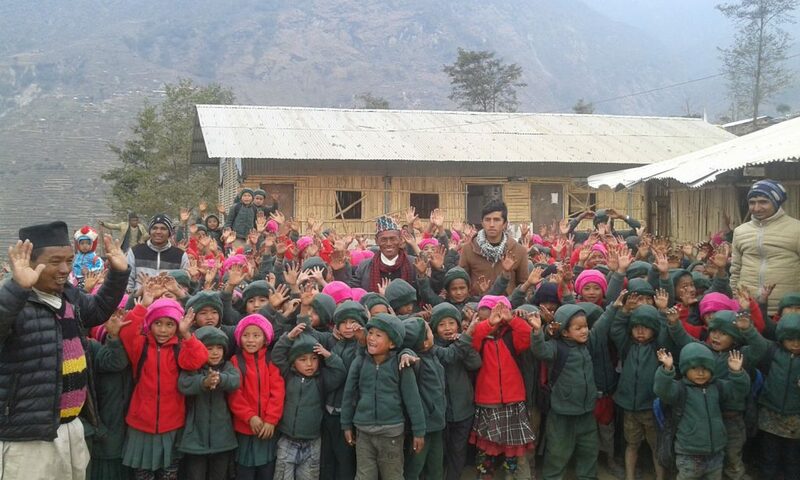 We focused our efforts on the most vulnerable communities who live at high altitudes and its been great to see photos of smiling children attending school in their new fleeces! Without the fleeces, children would never have been able to continue their education through the harsh winter months, so the project has been a great success! Some of the winter clothing was funded by our Helambu Christmas Appeal, and we’d like to thank all of our generous donations who contributed to our efforts.